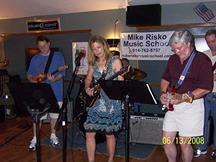 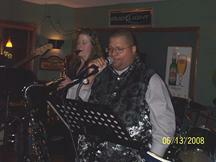 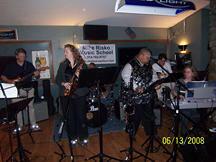 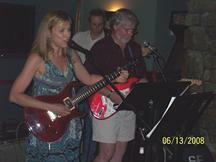 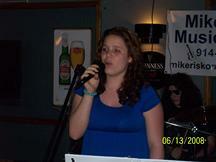 On Friday June 13, 2008, our Teen and Adult Rock and Jazz Band Classes performed at Black Jack's in Croton for a packed house. 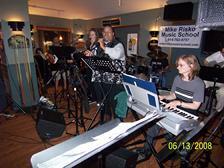 It was lots of fun and we enjoyed a night of really fun music with Significant Figures, Barbara K the Killers, Revved Up and the Seventh String. 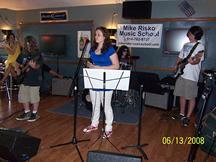 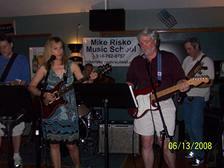 Mike, Miriam, Tom, Jake and Mike L also performed a few songs for the crowd. 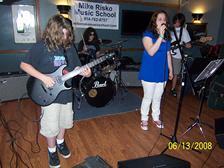 Click here for a video of Significant Figures playing Mother by Danzig.